Today, the European Parliament adopted the Preparatory Action "Music Moves Europe: Boosting European music diversity and talent". Starting in 2018, €1,5m will be allocated to this pilot programme which will help test ideas on a small-scale that could then be replicated in the full-fledged EU Music programme which the Commission plans to launch in 2021. 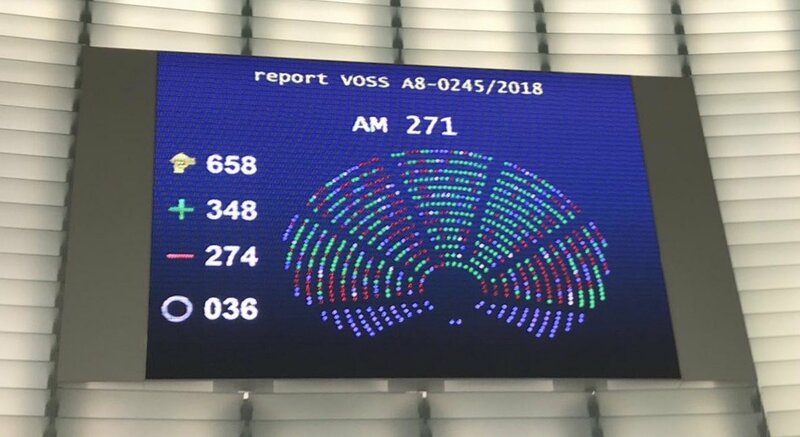 IMPALA welcomed the news - Helen Smith, Executive Chair, commented: “We are delighted to see the European Parliament show such strong commitment to the idea of an EU music programme - IMPALA has been calling for years for a dedicated initiative sitting alongside the MEDIA programme for the audiovisual sector. This preparatory action should help the Commission move this project forward, by allowing it to test different ideas to boost investment, diversity and mobility in the sector." Helen Smith added: "If used efficiently, this preparatory action could be the first step toward a large-scale EU music programme. There are key areas which a EU music programme could focus on to stimulate creativity, diversity and innovation in the music sector: investment, strengthening smaller actors, boosting mobility of artists and repertoire, measuring diversity and mapping the sector". The Commission is planning a music stakeholder meeting early 2018 to mark the launch of the preparatory action. This will be the opportunity for IMPALA and the music sector as a whole to provide further input into the process leading to a EU music programme. Helen Smith concluded: “Our members see this move as innovative and sending a strong message on the economic and strategic importance of sector specific policies to grow the EU’s overal aim of boosting culture within Europe."